Pendruccombe House, Launceston | Launceston Then! Sir Hardinge S Gifford (3 September 1823-11 December 1921), later Lord Halsbury, had Pendruccombe built at Pages Cross in 1881, four years after he was elected as Launceston’s MP. He was a leading barrister, politician and government minister. He served thrice as Lord Chancellor of Great Britain. The house was built by Mr. W. Burt of Newport, Launceston. The House was erected at a cost of £6,000, upon a small farm and apple orchards. The ceremony of foundation stone laying was a very near tragedy; the corner stone was raised on a trestle by Mr William Burt’s stonemasons, ready for dropping into position, Lady Giffard was smoothing off the mortar ready to receive the stone – she pulled back her arm and trowel and the huge granite stone fell onto the soft mortar, splashing herself and her husband, plus several others, with wet mortar. It is said Sir Hardinge and his Lady made light of it and carried on as if it were quite usual. To complete his enjoyment Sir Hardinge had purchased Rose Hill, the farm beside his dwelling, and had it removed along with most of the valuable apple orchards. The trees were said to be some of the best in the country. 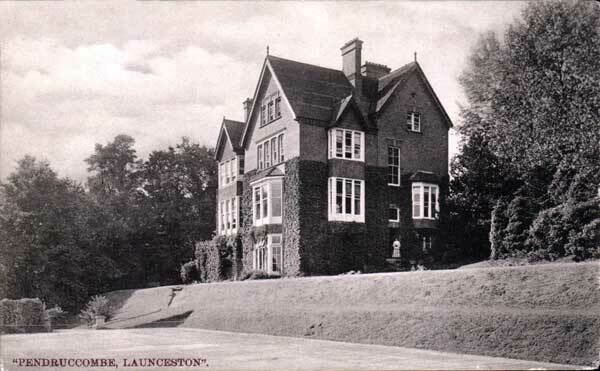 When Sir Hardinge was raised to the House of Lords, the house was sold to Mr Harold Blackman, Lewdown, but he sold it off to the Launceston Girls High School & Kindergarten, headed by the Misses Seccombe, in 1901. 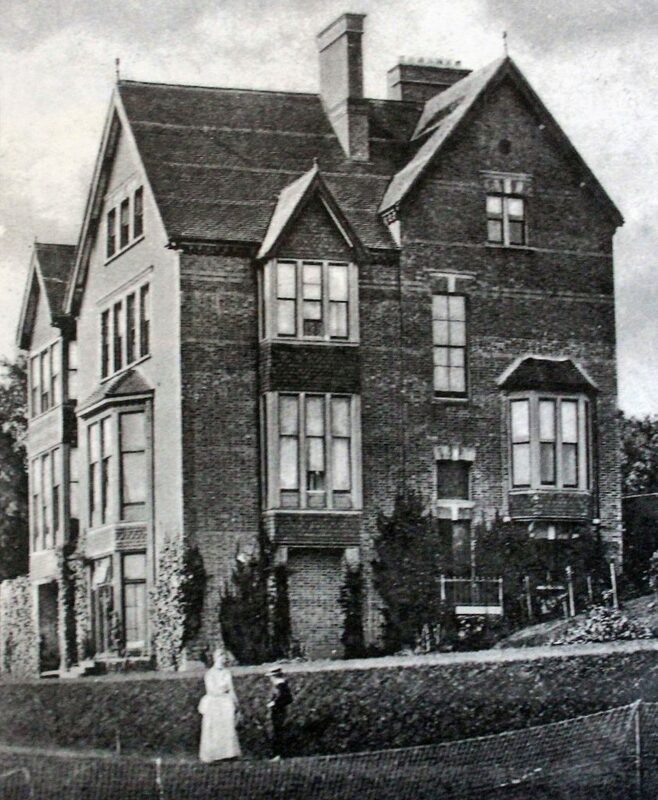 The school that was to become Pendruccombe school was started in a house on the Walk, then called Avenue Place. They subsequently took Dockacre House, Dockacre road (then Horse road) for use as a school, in addition to Avenue Place. The head of the family was Dr. Thomas William Smith, a surgeon at Lewtrenchard. His daughters were Charlotte Louise, Francis Emily (Fanny) and Sarah (Sedgie). 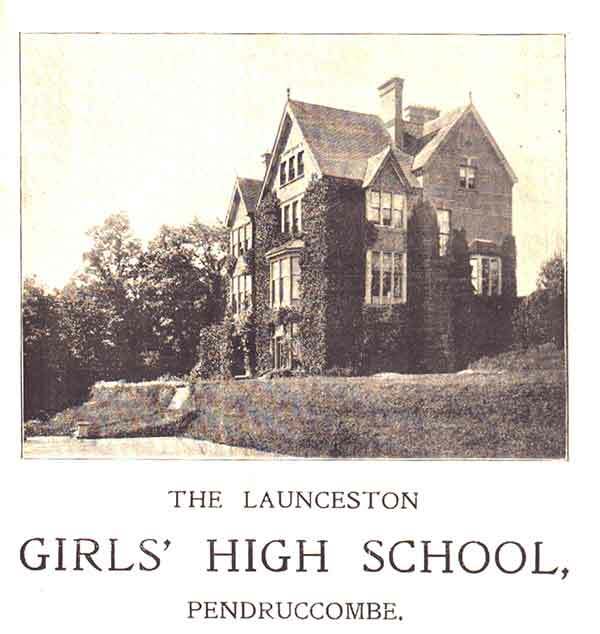 Associated with the history of their school was the Launceston Church of England High school for girls, founded in 1879, which ran for nine years from Edymead House. When it closed, the Smith’s took the few remaining pupils into their own school and adopted at a latter date, the title of Launceston High school for girls. 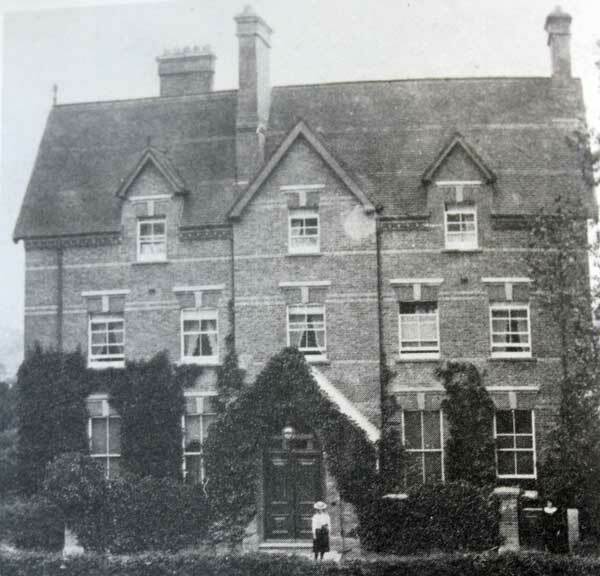 At various times during the nine years of the C of E school, the Smith’s helped their rival establishment by accommodating a few of their boarders at Dockacre. The Smith’s took small boys as well as girls and these boys were taught by Miss Sedgie Smith in a small outbuilding at Dockacre; they included Geoffrey Cowlard, Gerald Peter, Colin Parsons and Horace Kittow. 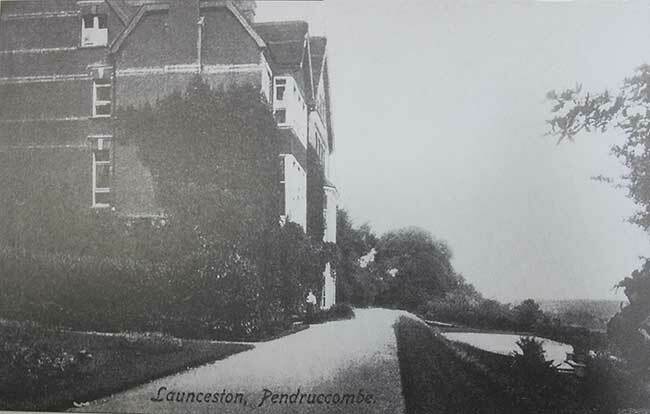 In 1898 the Misses Smith moved their school to Pendruccombe. Here the Smith’s remained until 1901, when “the three Miss Seccombes” as they were known, took over the school. The second sister, Louisa Jane, died in 1902, but the other two, Lavinia Melora (known always as “Miss Minnie”) and Leonora, continued the school, which became one of the main academic institutions of Launceston, until September 1934, when it was taken over by Mrs. Hannah Suttie and her sister Miss Bell. They retired in 1948 to Swanage, where Mrs. Suttie died five years later. The Seccombes then returned to Pendruccombe, not to teach, but to reside, and they appointed Miss Elizabeth Margaret Caird as Headmistress. 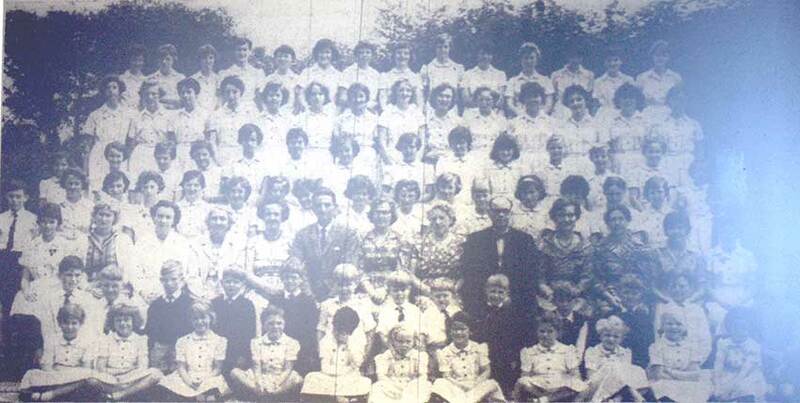 She had been on the staff most of her teaching life, and she carried on at the school until 1958, when Mrs. Dorothy Watkins took over who was subsequently replaced the following year September by Mr and Mrs Cruttwell. Notable girls from the school are Alice Pethybridge who was Lady Mayoress of Cardiff when her brother was Lord Mayor; Mary Trood being Mayoress of Launceston three times when her brother George was Mayor; and Fanny Fry Symons (married name Hicks) who became the first female Mayor of Launceston. Academic honours included those gained by Anne Gibson, the first Pendruccombe girl to obtain a medical degree. Her sister, Charlotte, took up Art and became a regular exhibitor of both pictures and sculpture at the Royal Academy. Other whose pictures were accepted for exhibition there being Grace Pethybridge and Gwendoline Shearme. Ruth Hull also qualified in Medicine, and Jessie Pethybridge, Cynthia Johnston and Joyce Weighell became Bachelors of Science. Others took degrees in Art and diplomas in Journalism and Music, among those being Barbara Rawling, described in 1961 by Spencer Toy as being “one of the most brilliant pupils who has ever passed through any school in Launceston”. She won many prizes at the Royal Academy of Music and crowned her honours by the highest possible distinction for pianoforte playing by winning the Macfarren Gold Medal. She joined the staff of the Academy and in 1942 was awarded the Ridley Prentice prize for the best teaching by a Sub-Professor during that year. After the school closed the house became a private residence for a short period but when the owner died intestate the property was passed to the Duchy of Cornwall. It was then purchased to be converted and extended to its present use as a Residential home. The tennis courts along with Monmouth Villa were lost in 1974 when the by-pass was built. Harriett Cripps “ U 28 music teacher Aston Bampton, Oxon. Pendruccombe School Outing in 1910. 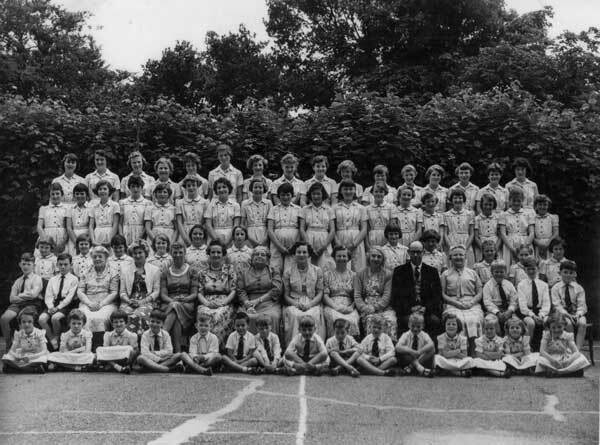 Pendruccombe School in 1957. Photo courtesy of Andy Ross. Pendruccombe school Drama society cast for their 1961 production of Shone through my Dreams.